Engineering is just engineering. Until you change the world. We provide complete solutions to optimize plant wide process control and enable operational excellence for our clients. 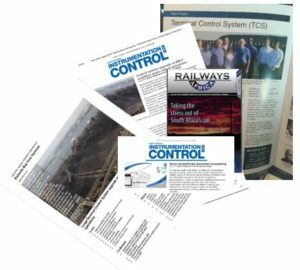 We take the time to understand our client’s needs and ensure that we deliver the most appropriate solution. Our hands-on know-how is demonstrated with the successful delivery of each project. Saryx focuses on industries that require continuous control for complex, business critical operations, including Mining, Metals & Mineral Processing, Chemicals, Utilities/Water, but is equally comfortable with smaller non-critical projects. Services – Expand your mind and change your world. Saryx has completed a vast range of works, a few of which are listed here: Stacker Reclaimer Drives & MCC ▪ TCS Replacement ▪ New Substation 11 and Reconfiguration ▪ Weighing Systems ▪ Water Pump Stations ▪ Whims Machines ▪ Pneumatic Ship-Unloaders ▪ Hoppers ▪ Stacker to Land Radio Links ▪ Stacker to Stacker Radio Links ▪ Pipeline Software and Instrumentation ▪ Pipeline Building Management System ▪ IBM Blade Server Installation with Virtual Technology ▪ MCC Simocode Control Systems ▪ Rotary Tipplers ▪ Woodchip Plant Maintenance, and so much more. Innovation – Smart. Simple. Effective. Metered dose applicator. Primarily used for planting however designed to be multipurpose. This Saryx developed solution has a metered dose applicator, driven with a diaphragm pump and controlled by a computer. Any desired dosages may be programmed and these pre-programmed dosages can be selected and alternated on-the-fly. Other examples of where this application has been successful other than for planting include watering and liquid fertilizing where different metered dosages are required. Booms are currently set up for five planters but any number of booms may be attached. The main 7000 litre tank carries carry pure water and mixing is done in two 1000 litre agitated mixing tanks. Capacity is designed so that no back up water or refilling is required during a shift. The spray pressure is controlled with a pressure regulator as on a boom sprayer, so the unit could be utilized as a conventional boom sprayer or with people and lances attached to spray coppice regrowth or for chemical hoeing or inter-row spraying in planted compartments where the trees are above knee height. All components are locally sourced. The unit has a twin stage Davey fire pump fitted so it may be utilized for fire protection. 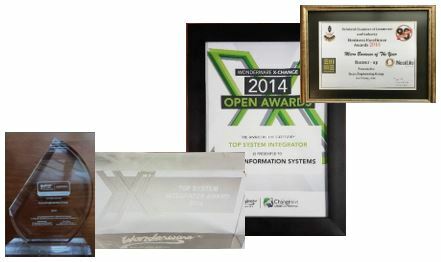 Saryx have been honored with the Wonderware Top System Integrator Award in the Open Awards category.